While this LibGuide was made primarily for Music History and Composition students, everyone can benefit from learning about at least a few representative composers from different time periods and countries. The top boxes are composers that EVERYONE should know. The lower boxes are additional composers that music students, especially in Composition and Music History, should be familiar with. The various time periods of music history are not clearly defined and there is considerable overlap during every transitional time. Links are provided to any books by/about them or their music available in the library. Links are provided to the composer's pages on Music Online (Alexander Street Press) and Naxos Music Library when possible. This LibGuide was created by Scott Pfitzinger, Multimedia Librarian at Youngstown State University, Youngstown, Ohio. Any librarian or other LibGuide creator is welcome to copy this guide and customize it for their own library's needs. Simply leave this one content box on the front page to acknowledge authorship. 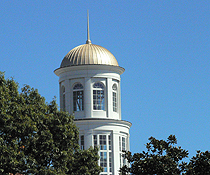 This guide was modified to reflect resources available for Christopher Newport University Students, Faculty and staff. Please see http://maag.guides.ysu.edu/composers for Scott Pfitzinger's original guide.